Post Graduate Diploma in Banking (PGDB) Programme is an initiative of ICICI Bank in partnership with Manipal Global Education Services. 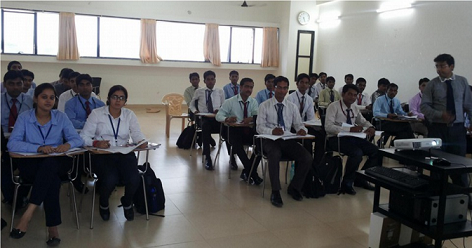 The training programme aims to attract young talent who wish to pursue a career in banking. It is a vocational training programme designed to develop a pool of first level managers with banking knowledge and required skill-sets to perform efficiently in their day-to-day activities.The roles offered on joining the bank after successful completion of the Programme will involve servicing, cross-selling and acquiring new customers through field visits as part of the duties/tasks assigned. Similarly, internship / on-the-job-training periods will also involve these duties/tasks as part of the learning process.